Lyn and Ivor Williams came to Rainow from the North East in 1997 and bought Kerridge End House as their family home. 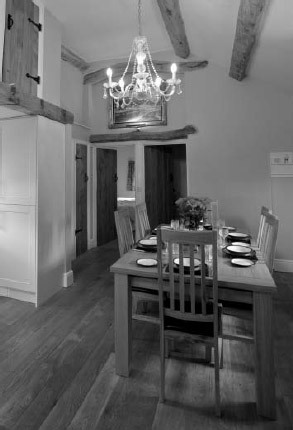 Along with the large 1837 house came a coach house, a cottage and a stable, which the couple set about transforming into top quality self- catering cottages, largely using local tradesmen and suppliers. The first opened for business in 2005 and was soon followed by two more. 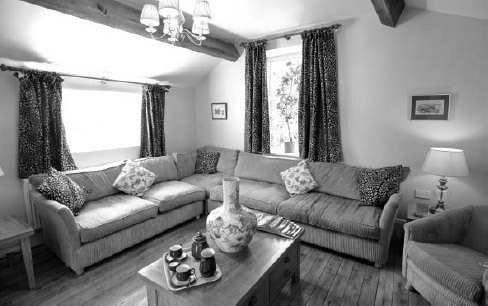 The Five Star cottages have won Cheshire and Peak District awards ranging from Best New Entrant in 2006, through a range of sustainability and environmental awards to last year’s success in gaining Cheshire’s first Green Tourism Gold Award. Lyn and Ivor are proud of their most recent accolade – Enjoy England’s Gold Award for exceptional quality of accommodation and service in 2012. Ivor sees “providing a whole experience rather than just a cottage” as the basis of their success and distinguishing what they offer from the mass of self-catering accommodation is an essential element in their business plan. Their website shows this by setting out not merely the full views of every aspect of all the cottages (not many others offer so much) but also identifying fifteen reasons to choose Kerridge End.”We want to provide visitors not just with the kind of place that we would be happy to stay in ourselves but one where we would actually aspire to live ourselves” they say.